Flavorful, easy brisket may sound like I’m trying to trick you. With a tough cut of meat like brisket, you’d think it would take forever and lots of fuss to make flavorful. Brisket is actually one of the most versatile cuts of meats you can cook with and you can serve it (cooked mostly the same way in fact!) for so many different occasions. 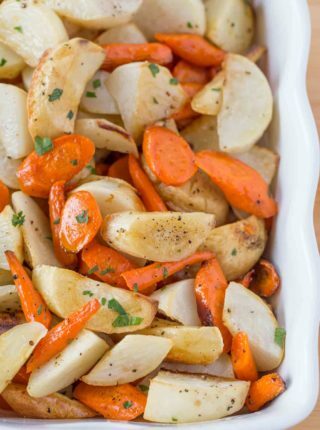 Your favorite Sunday meal, serve it with Mashed Potatoes and Rainbow Roasted Vegetables. Below I answer some questions that typically come up about cooking this brisket. 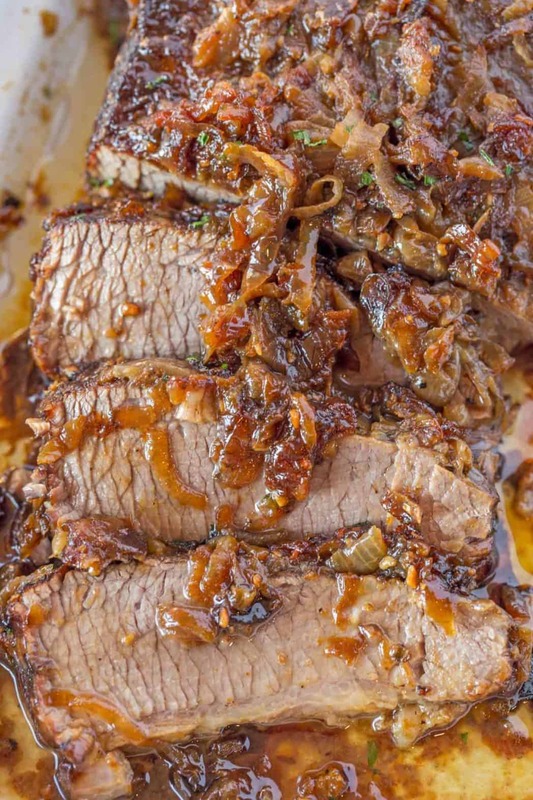 Q: How to cook this brisket in the slow cooker? A: Add the ingredients to the slow cooker (onions on the bottom) and cook on low heat for seven hours on low. When the meat is done, remove it and place it on the platter. Strain out the onions and add them to a skillet with a tablespoon of butter on high heat and brown them. Q: Options for how to cook brisket of beef? A: Brisket can be cooked in the slow cooker on low heat for 7 hours. Brisket in an oven is also an option, you can cook in the oven for 3-4 hours. And lastly, you can smoke a brisket on the grill for 5-6 hours. Q: How long do you cook a brisket in the oven at 225? A: If cooking brisket in Oven, cooking at 225 degrees a brisket could take a full 5-6 hours to cook. I prefer 3-4 hours at 325 degrees. Q: How do you make a tender brisket? 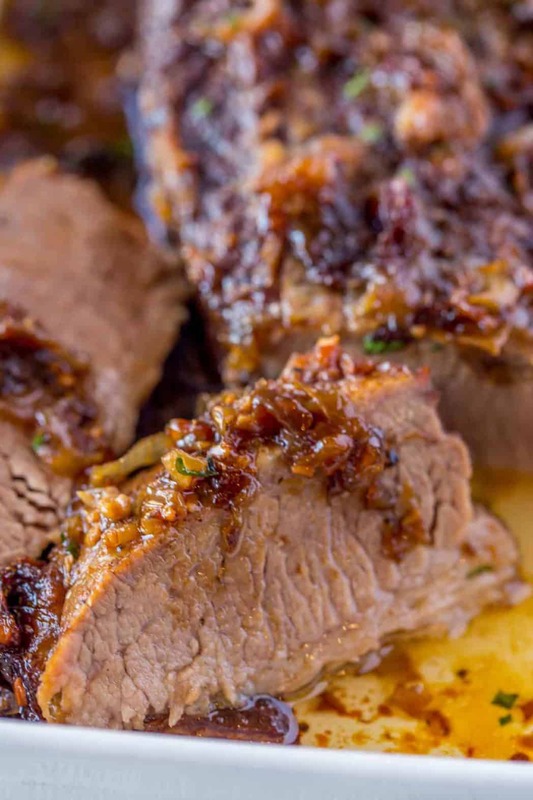 A: The beef brisket is generally considered to be a tougher cut of meat, so cooking low and slow in either a smoker, an oven, a slow cooker or an indirect heat grill is important to help break down the tough connective tissue. Pig Tail Flipper: I use this to flip the chicken without damaging the skin and its super easy. I use this tool EVERY time I cook something that requires flipping, it is amazing. 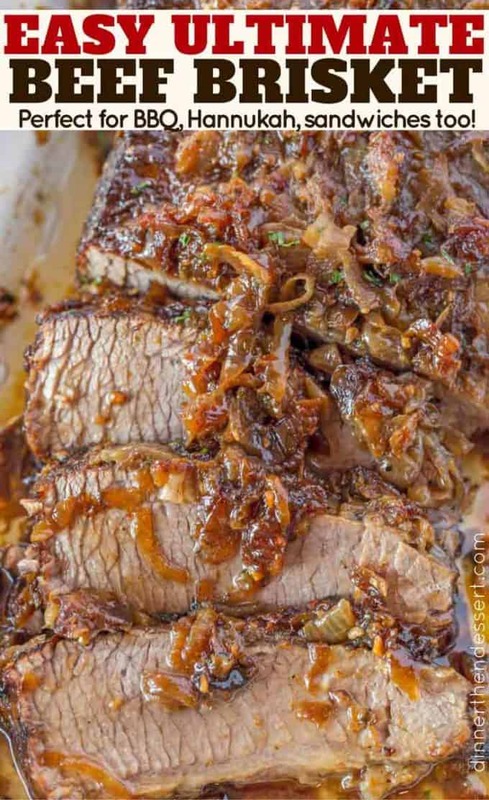 This is the easiest, Ultimate Brisket topped with Caramelized Onions you'll ever make and it is simple enough for a regular family meal but flavorful enough for a holiday meal! In a large cast iron skillet melt the butter on medium heat and add in the onions and half the salt. Let cook for 15-20 minutes stirring every few minutes. Once they start caramelizing remove them from the pan. Add in the canola oil and turn the heat up to medium-high. Season the brisket with the remaining salt and pepper. Brown on both sides for 3-5 minutes on each side. Remove the beef and add the garlic, Worcestershire sauce, beef broth and beef base (if using). Stir well and add the brisket back in fat side up. Top with the onions and tent tightly with foil or a lid. I use beef base in the recipe as well as beef broth. I don't buy the beef broth separately, I just mix three times the amount of beef base required for one cup of water. A wonderful, easy recipe. First time i was making a brisket and had no idea how to do it. some recipes called for a lot more prep time, which i simply did not have. it turned out wonderful, the gravy it made was terrific and the brisket was fork tender. (i will cut down on the salt next time as the beef base i used was quite salty). Thank you, this recipe will be saved and used again. Is this celcuius or Fahrenheit temperature? 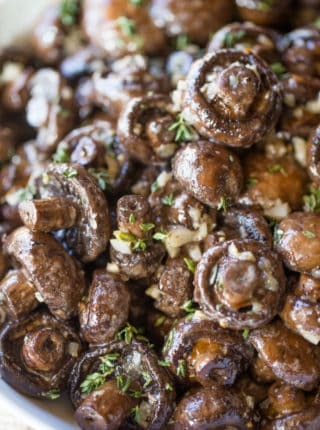 No need to caramelize them first because at the end, you’ll pull them out and brown them. Enjoy! I was a beginner as had never prepared brisket before. I found this recipe simple and easy to follow, with very little preparation time. My first brisket was surprisingly tasty. The tenderness comes from slow cooking in broth and the meat is an inexpensive cut. The recipe can be adjusted to 2 pounds or 4 pounds or larger beef brisket portions. The caramelized onions and gravy allow for several servings and make perfect for multiple single servings or family and group meals, and can be served hot or cold. I recommend using salt sparingly and adjust the beef base which also contains salt. I will certainly try this recipe again. I’m so glad you decided to try it! Thanks for the 5 star rating. I haven’t tested it so I’m not comfortable giving a recommendation. I just put a bigger version (9lbs of brisket) in the oven. I doubled everything. Could you please tell me how much cooking time I should anticipate? The recipe looks and sounds delicious. I can’t wait! Wow, that’s a big guy! What time do you want me over for dinner? Haha! I would suggest cooking it at 300 degrees and 40 minutes per pound. Good luck! Thanks so much! Our whole house smells AMAZING! You are a culinary genius, Sabrina! Hubby got home and immediately said, “What smells so good?” I can’t wait to serve it. Please keep the recipes coming and thanks for taking the time to answer. I’ll take pics later. I ? your brisket recipe! You’re so sweet, Lucy! I’m so glad you guys are enjoying the recipes. It needs to be fully thawed. I hope you enjoy it! I’ve never cooked brisket before, don’t think I’ve even eaten it, so when my husband came home from the butcher with a 7.5 pound brisket I wasn’t sure what to do! We cut it in half and I used your recipe to cook half of it. I was kind of unsure as to how it would turn out, would it be dry, tough, chewy? Heck no — it was fork tender and absolutely delicious! My husband’s comment after taking his first bite was, “That’s sinful!” heeheehee! This will be my forever brisket recipe. Thank you so much for sharing it! I’d give it more stars if I was able! Yay!! You just made my day!! Thanks so much for coming back to let me know. I made this brisket last month for Christmas dinner and it was, so moist, tasty and yummy.? My family and guest couldn’t stop talking about how delicious it was. I bought an 8lb brisket and cut it in half, froze the other half and I’m cooking brisket today, MLK Day. It’s very simple and easy, but comes out delicious. How long do you recommend we cook in the crockpot and can we follow the same steps? You’ll want to add all of the ingredients into the slow cooker and season it before putting it in and cook on low heat for 7 hours. I hope you enjoy it! The instructions don’t make any sense. When do you put it in the oven? Sorry for the confusion. At the end you’ll cook in the oven for 3-4 hours. Hope this helps! Thank You, I have never made a brisket before, it was wonderful! Thanks for coming back to let me know how much you enjoyed it, Lisa! If I get two 3 lb pieces vs one 6 lb brisket do I still bake for 6 hours? – 1 hour per pound? How big is the brisket you started with? Never made brisket, (although I grew up with my Mom burning it on the stove.) Do you recommend slow cooker or oven as a first choice? Going for tender…. Thank you! Either way will produce a tender brisket so it really depends on the timing you want to use. I didn’t have the courser ground kosher salt, so when I substituted regular salt, I cut the amount in half. I’m SO glad I did, otherwise it would have been much too salty. Great recipe. Everybody loved it. Hello this recipe looks wonderful. 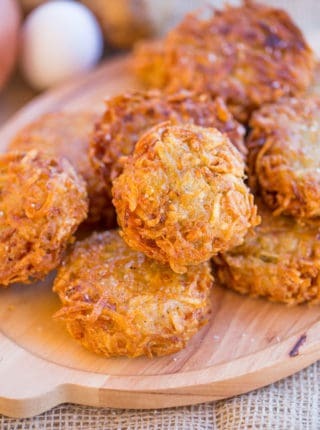 Im making it tomorrow morning for Hanukkah. I would like to use the crock pot and was wondering if I need to season the brisket with the salt and pepper, Worchester sauce and garlic prior to adding the beef bouillon to the crockpot. Also if I’m not using the Beef base, do I need to add 2 cups of beef broth. So sorry I didn’t see this until now. I hope it all turned out ok with you figuring it out on your own. It sounds like you understood the directions well though. Just to clarify…You’ll want to add all of the ingredients to the slow cooker. You’ll still want to season it before placing it into the slow cooker. You are correct about the beef broth. This was amazing! I made the brisket in the oven for Hannukah. I used really good homemade beef consume and it turned out terrific! Thank you! You’re welcome, Sacha! So glad you enjoyed it! You’ve said that the weight of the brisket matters with the cooking time. Please could you give the time / weight conversions so that we can adjust the recipe as necessary? For example, my butcher only sells brisket in roughly 1kg (nearly 2lb) sizes – I’d never be able to get anything as big as a 4lb one. 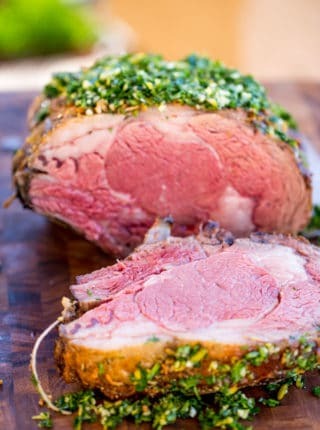 The rule is usually about 1 hour per pound but to really get it tender, it may still need to go as along as 3 hours. Enjoy! 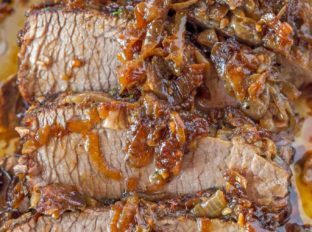 Sabrina, recipe looks really good, but all other brisket recipes I’ve come across, aside from BBQ, calls for some sort of tomato base. Do think it’s necessary? What do you think of adding a little tomato paste? I don’t think it’s necessary and just a personal preference. Feel free to add some if you’d like. thanks for this recipe – looks great. My question is how you might alter this to make a larger brisket. I need to feed 15 people and I have only one 10″ cast iron! Can it be made well in a roasting pan? The general rule is one hour per pound to really get it tender. 3 tbsp beef base? My better than bouillon beef base calls for 1 tsp beef base to 1 cup water. Hi Linda, the 1 tsp for 1 cup is for a beef broth replacement. I use extra to give extra flavor as a beef base. Also the recipe calls for 2 tablespoons. I just tend to cook with less liquids but still want all that concentrated flavor which is why I am such a fan of using protein and mushroom bases. Yum! I made this for dinner tonight. I generally stay away from cooking meats my husband can smoke, but I recently bought two briskets on clearance and decided to make one myself! Delicious and easy. I love smoked brisket (all smoked food, really), but this was a totally different flavor profile. Comfort food to the extreme! Thanks for sharing your recipe with us! 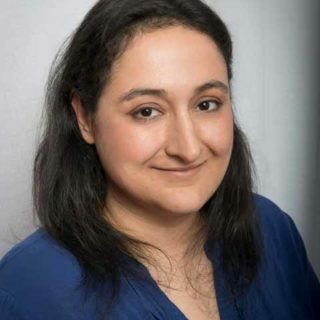 You’re welcome, Christine! It’s nice to change it up a little every now and then. This is delicious and one of my family favorites. We keep this in the monthly rotation! Being added to a rotation is a huge compliment in my book! Thank you so much! I made this tonight and my family.loved it so much. Thank you for sharing your recipes!! I look forward to trying more!! I have made brisket numerous ways throughout the years, however I’m always looking for new recipes to try. This winner was a huge hit with my guests! Everyone had seconds and there were no leftovers…the true test of an outstanding dish. Followed the recipe, with the addition of thyme and a generous splash of red wine. Love it!! Thank you so much for coming back to let me know!! Best easiest recipe! Probably the most tender piece of meat I’ve ever made. A foolproof keeper. I had some homemade chicken broth on hand that I substituted for beef broth and I marinated the brisket in a mix of spices and soy sauce for about 6 hours. I used a 2 lb brisket and cooked it in a cast iron skillet for roughly 3 hours. It was a giant hit! Does the size of the beef matter. Do you cook a small piece of meat for three hours? Some are 10 pounds others 3. Yes, the size does matter for cook time. I used a 4 pound beef brisket for this recipe and cook time. You just want to cook it long enough to break down the connective fat. It might take 2-3 hours. This was absolutely delicious! Definitely will be making this again! 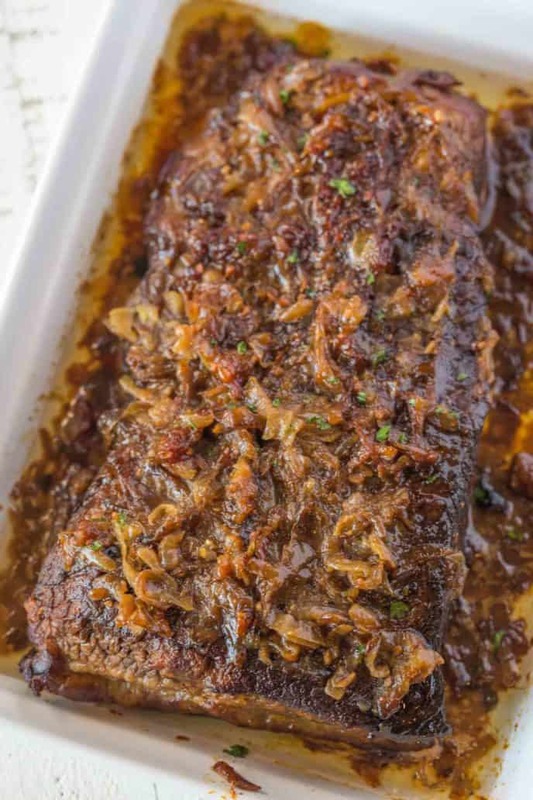 I have never slow cooked a beef brisket before, and this recipe made me feel like a pro! It was easy to prepare (minus the onion crying lol), very low maintenance while cooking, and turned out very delicious! I brought it to a friend’s B-Day party where everyone brought a dish, and this ended up being the party favorite and was gone before I knew it! Got lots of props from it too. Would definitely recommend this, and now I have a go-to dish to bring to get-togethers. Thanks a lot for this gem! If I make this in the crockpot, doI need to brown this on the stovetop before placing vthis in the cockpot? You could always get a good sear on both sides before placing it in the slow cooker. Well I have to make this now! It looks so good! Great cooking tips for this delicious-looking dish! I’m craving it now! Mmm! This looks like my kind of dinner! I love brisket no matter what way it is cooked! I have to try this! I am cooking tonight to serve tomorrow. What is the best way to reheat? You’ll need to get the internal tempature back up to 140 degrees. Place it into a 325 degree oven covered with foil. I love an easy to make brisket! WOW!! This looks and sounds incredible!! My family would love it!! Brisket is one thing I’ve never made at home and that needs to change!